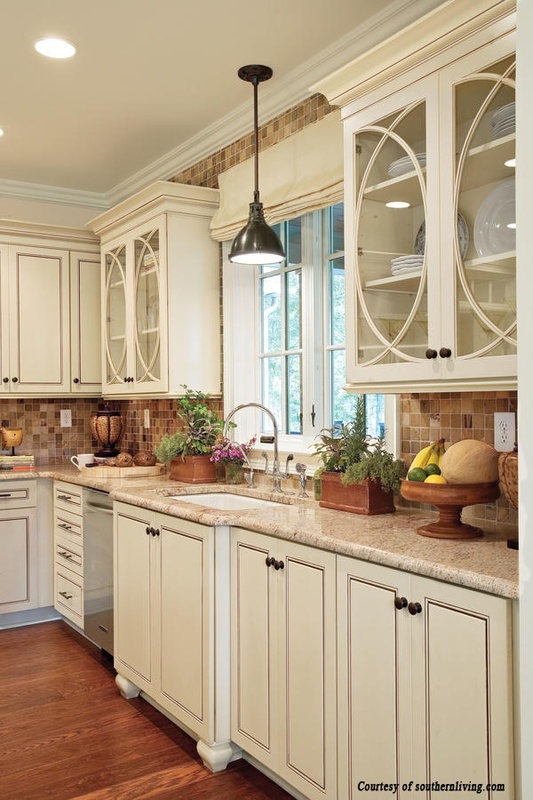 When it comes to kitchen cabinets, most of us crave custom design. 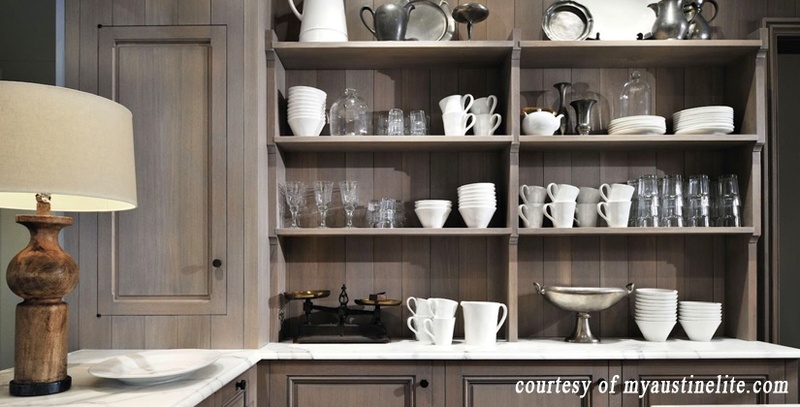 You can add a personal touch to your kitchen cabinets by considering these ten ideas that bring designer style to the heart of your home. Add storage, style, and extra seating with a standalone kitchen island. Offset the colors of your perimeter cabinets. Use a different counter. Or both. If you’re stuck between choosing one of two cabinet door styles, don’t be afraid to use both. Complementary styles can strengthen your kitchen’s overall look, while opposites can produce an attractive transitional design. 3. A splash of color. 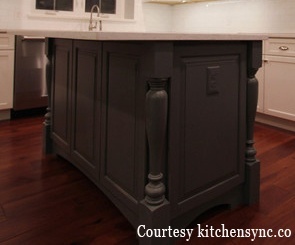 Neutrals remain the go-to hues to use for kitchen cabinets, so a stroke of color is a daring design choice. 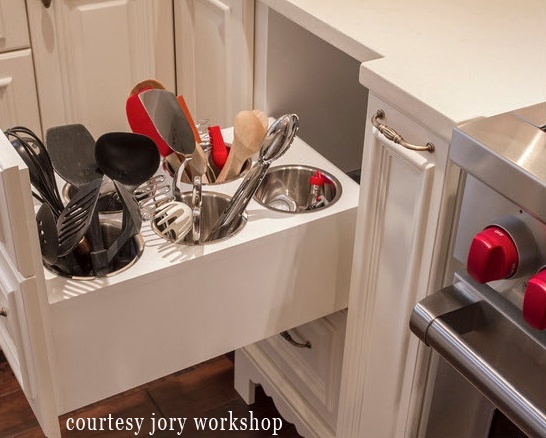 Set apart the island by "color blocking", using a different color than your other cabinets. It can be a risk that pays off, giving your kitchen just the right amount of spice. And it will allow your neutrals to pop. From farmhouse style to simple square legs, table legs always catch the eye. In general, legs with detailing are better suited for traditional designs. Simple, straightforward legs work best with transitional and modern designs. Placing them at the ends of your island will give it a true furniture feel. 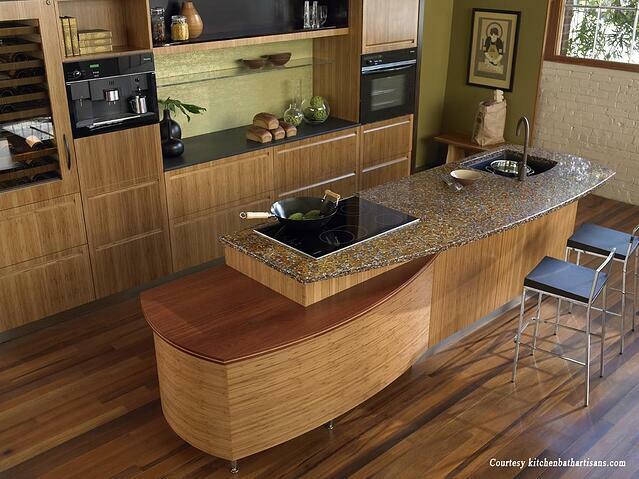 Wainscoat panels adorn the backs of cabinets on an island. They can dress it up and are the final detail that makes it look like an authentic furniture piece in combination with the interesting legs you have chosen. Glass door fronts set the stage for a glimpse of fine dishware. Highlighting them with lights makes them a real standout. They make your kitchen design open and inviting, which lets you and your guests feel right at home. 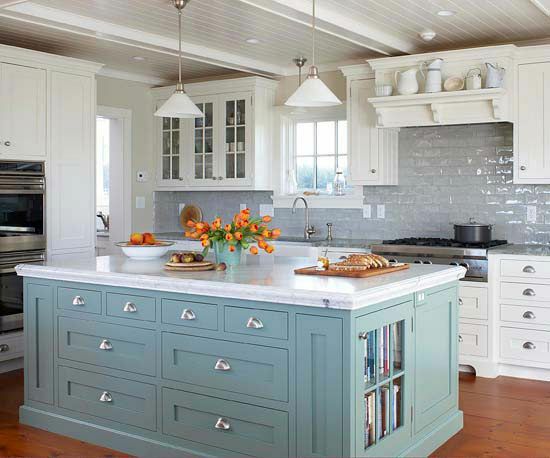 A timeless kitchen component, beadboard is perfect for farmhouse or beach-style kitchen designs. It's a little detailing that you can add without compromising the simplicity of your design. 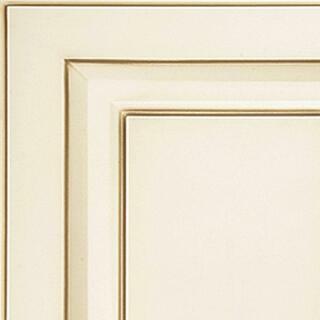 It can either be used a finishing touch for your cabinet ends or there are doors that have beadboard built in to them. 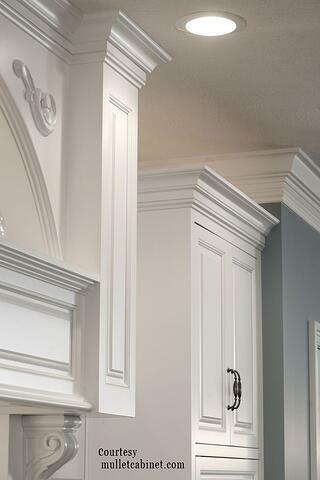 Consider installing cabinets that reach to the ceiling, and finish them with crown molding, which adds a beautiful accent. It bridges the gap between your wall cabinets and the ceiling, allowing for a seamless transition. 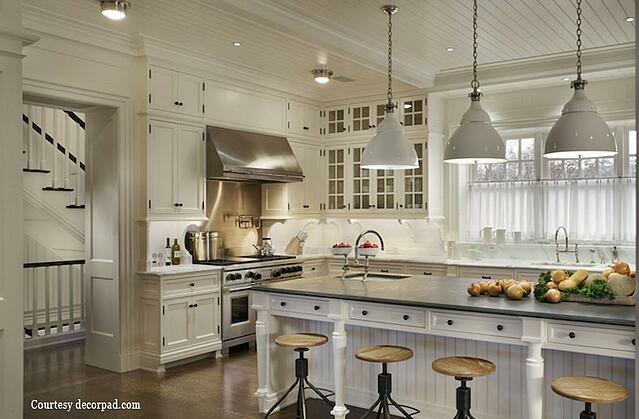 In traditional kitchens, it caps off the design with one final touch of detail. 9. Unique stains and glazes. An antique finish can add charm, and a custom glaze brings unparalleled character to kitchen cabinets. 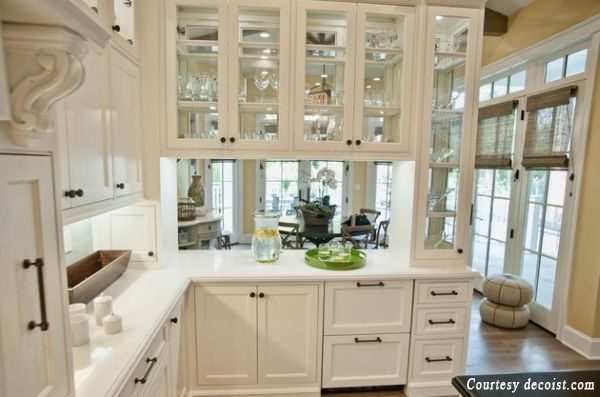 Glazing adds depth, interest and "pop" to cabinetsby highlightingthe underlying base color of the cabinets and accenting the surface details. It can create an Old World, country or rustic look in a kitchen. If you don't see it in the catalog... virtually anything you can imagine can be created—from remote control lifts that hide your small appliances to custom wine storage. Know that the possibilities are endless; if you can dream it, we can build it! 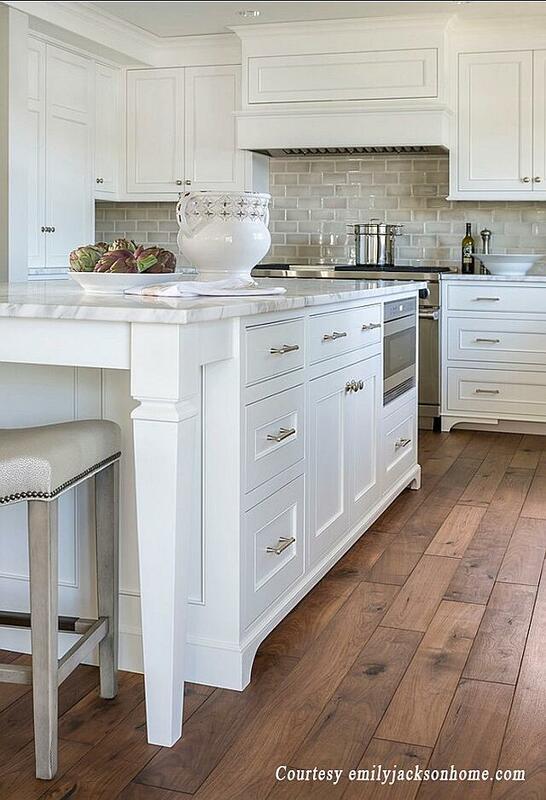 We like to design highly functional custom kitchens that incorporate the aesthetics you desire. The end result is a highly functional beautiful design. Our goal is not to just replace what you have, but to give you the best layout and products possible while staying within your budget.